Pompey are reported to be closing in on landing Newcastle talent Sean Longstaff. The Blues are set to bring in the midfielder on a six-month loan from the Premier League outfit, according to the Newcastle Chronicle. The 20-year-old is said to be wanted by a clutch of Championship sides, including new boys Rotherham. Longstaff scored nine goals last season while on loan with Blackpool in League One, and spent the previous campaign in the SPL with Kilmarnock. 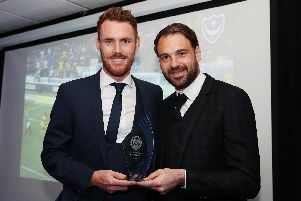 Pompey eye more recruits before training return.